Americas Best Value Inn : Guest Services are available 24 hours a day, 7 days a week. Americas Best Value Inn: Welcome to America's Best Value Inn! We Pride ourselves with the best customer service and hospitality! We want this to be your home away from home! Americas Best Value Inn was ranked # 2 on JD Power as the best economy hotel for their excellent guest satisfaction. 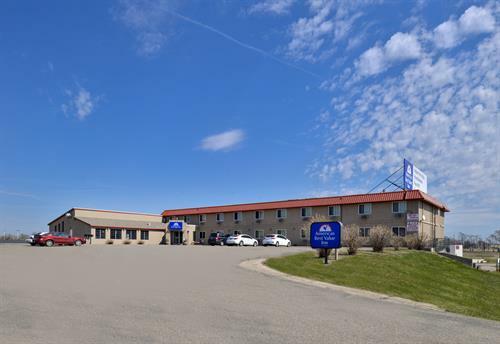 America's Best Value Inn has many different room types to accommodate all your needs! Our available room types are Single Queen bed, Double Queen Beds, Handicapped room, Single King Bed, Queen Jacuzzi Suite, and King Jacuzzi Suite! We even have rooms to accommodate pet lovers for only $10 extra per pet per night! Some of our amenities include free Wi Fi, Cable, Continental Breakfast, Pool, Hot Tub, Semi Parking, Restaurant and Bar located on site, Hair Dryers in all rooms, and Microwaves and Refrigerators in all rooms!